Theme song "Porque te vas" was a huge hit in Europe in 1976, and appealed even to people who didn't understand a word of Spanish. Actually, many people went to see this movie because of the song. 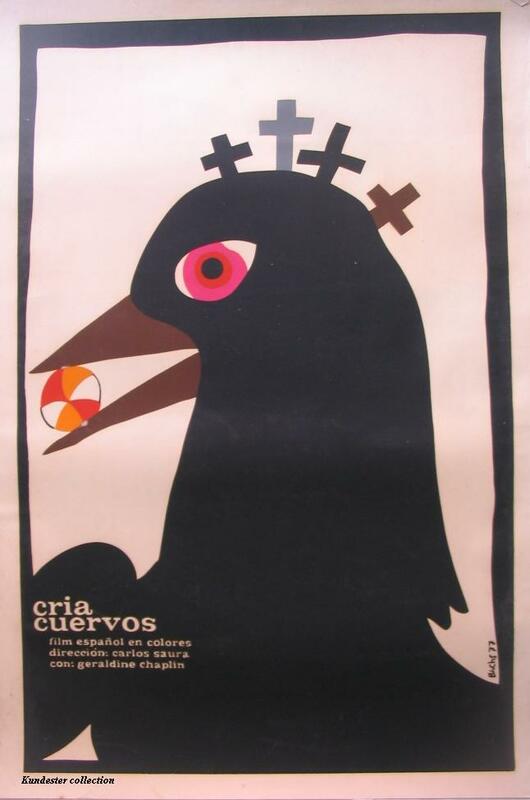 As a film, I found it rather austere, and difficult to understand if you are not familiar with Spain's recent history, so I am amazed by the generally good reaction of the public to it.1976 was the year after Franco died, ending a 40-year period of civil war and dictatorship, which makes "Cria Cuervos" a historical marker in Spanish cinema. Actually, Spanish cinema had until that date been rather poor, very far surpassed by the Italian one, but this situation has lastingly reversed since that date. In 1976, the political future of Spain was still unclear, and this is maybe why Saura remains so allusive.Action is taking place in the early seventies when Franco was still around. It is centered around 10 year old girl Ana, the second of three daughters. Her father is is a military, which is no innocuous detail in the context of the Franco regime. Her mother is dead, but keeps appearing to her as a ghost, and talks to her, while Ana remains silent. What is going on is a bit unclear, because, very much like in Bunuel movies, reality and dream are hard to tell apart. We don't know if Ana poisons her father, who has affairs with mistresses, but what is certain is that she imagines that, and that he dies too. A symbol for Franco's death?After their father's death, the girls are fostered by a rigid aunt, who tries to get their affection, but fails. Ana is a silent child, obsessed by death. She plays with poison, spends a lot of time playing with a doll in an empty swimming pool. She also talks to her mute grandmother in a wheel chair, and asks her at one point if she would like to die. As the grandma nods positively, Ana offers to help her dying but the grandma recoils. 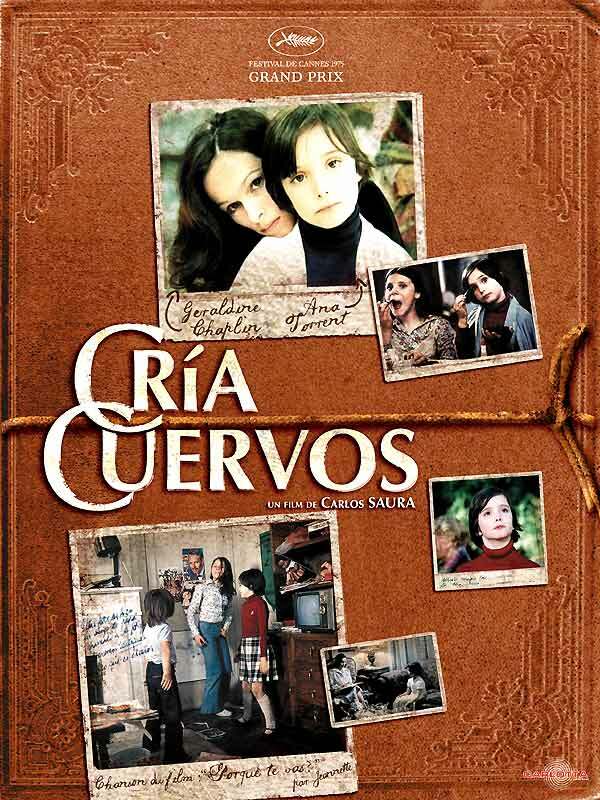 There is always a grandmother character in every film by Carlos Saura.Like in many Saura movies, each character seems to incarnate an aspect of Spanish society. The father most likely represents the Franco regime, the mother would be the murdered Republic, the grandmother is probably a reminder of old Spain before the Civil War, and the children, Ana especially, seem to be the symbol of Spanish youth, uncertain about its place and future.The title refers to a Spanish proverb : "Feed the ravens, and they will tear your eyes up". Does it mean that the Spanish dictatorship did not trust its own children? Possibly, why would there be a dictatorship otherwise?The ending scene is powerful, as the girls go back to school after the holiday. We see a crowd of children in white blouses walking up the stairs of a high building towering over Madrid, while the theme song plays out loud "Because you are leaving". A vision of future? Looks like it. And who is leaving? Franco? 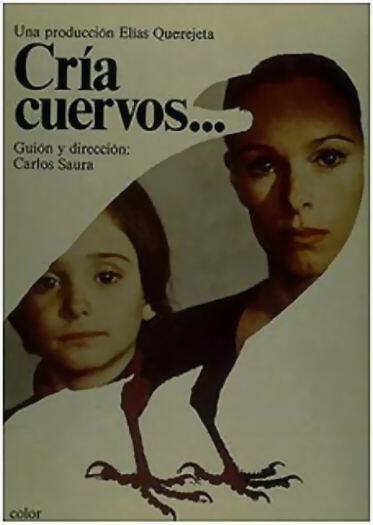 Tempting guess, but the movie lets many questions unanswered.Geraldine Chaplin, who plays Ana's mother, was by then the wife of Carlos Saura, and as she learned speaking perfect Spanish, she played in several of his movies. As for Ana Torrent, she was at the start of an important career, as she has remained a major actress in Spain as an adult.